Though Washington voters just rejected a carbon-tax ballot measure, a new campaign to put a price on fossil-fuel emissions already is gearing up for the 2017 legislative session in Olympia. This will be an alternative proposal pitched by an alliance of environmental, social justice and labor groups that would place a modest tax on carbon emissions from oil, coal and natural gas. Unlike the ballot measure turned down by voters, much of this tax money would be invested in clean-energy projects, according to a five-page draft of the plan released in the past week. This is part of a broader effort by U.S. climate activists to prod state and local governments to action, an effort expected to intensify as the election of Donald Trump dashes their hopes for new federal initiatives. In tweet after tweet, President-elect Trump has made light of human-caused climate change, including a September 2014 post that mocked what he called media claims of “fictional ‘global warming.’ ” In his most significant energy-policy speech of the past year, Trump called for scrapping President Obama’s clean-power plan to reduce carbon pollution from coal-fired generation plants. That plan would help the United States comply with the Paris agreement signed last December by more than 190 countries to reduce fossil-fuel emissions. The goal is to limit global warming to less than 2 degrees Celsiusto try to head off the most severe effects of climate change forecast to flood cities as sea levels rise and generate more extreme weather. Environmentalists say that more aggressive government actions are needed — and soon — to have a chance at making the steep emission cuts called for in the Paris agreement. But in the United States, they expect to be largely playing defense at the national level for the next four years, while hoping for regional gains wherever the politics may be more favorable. The Sierra Club is part of the alliance of environmental, labor and social-justice groups that withheld support for the carbon-tax ballot measure, I-732. The alliance leaders criticized that measure, in part, because it was designed to be revenue neutral rather than raising new money to in clean energy and other projects. Last Tuesday, the Alliance for Jobs and Clean Energy posted the new proposal, which calls for a carbon price of $15 a metric ton. That equals a tax of roughly 15 cents on a gallon of gasoline. The carbon price would only rise above the rate of inflation if state targets for carbon emissions are not met. Most of the tax money would be available for investment in clean energy and other projects that assist in slowing carbon change. But some would be used to help low-income families, industries and workers — such as those in refineries — most affected by the tax. “You have to make sure that workers, and the communities they live in, are not left behind,” said the Labor Council’s Johnson, whose organization represents hundreds of local unions. The measure has drawn some criticism from a backer of the carbon-tax ballot measure. Charles Komanoff, of the New York-based Carbon Tax Center, called the alliance proposal a “small, stagnant” tax that would be unlikely to send a price signal strong enough to spur significant reductions in fossil-fuel use. Proponents say their tax could climb high enough to send that signal, but would only need to do so if the state’s targets for reducing carbon emissions were not being met. They are hoping the proposal can gain broad political support, including from the groups that launched I-732. “We want to find a way to come back together, and I’m hoping that there is enough in our proposal that resonates,” said Becky Kelley, president of the alliance’s Washington Environmental Council. The alliance also will try to gain more industry support. 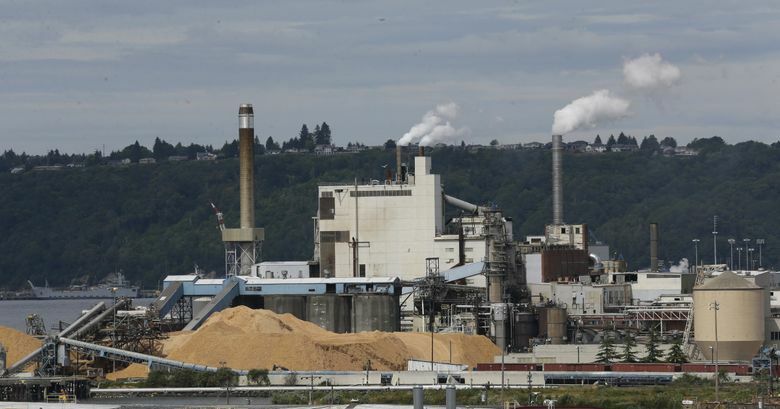 The Association of Washington Business, a group that spearheaded the campaign to defeat the carbon-tax ballot measure, is willing to give the new proposal a look. “It is a starting point that they are offering, and we fully anticipate being at the table working with them,” said Brandon Houskeeper, the association director of government affairs measure. In the short term, turning the new Washington carbon-tax measure into law will be difficult. Even in Washington, where a green governor embraces climate change as a key issue, clamping down on carbon emissions remains a big political hurdle. In this state, much of that carbon pollution — more than 40 percent — is generated by the millions of vehicle owners. Then, he tried a less ambitious approach. Under executive authority, the state Department of Ecology fashioned a rule that places a binding cap on state carbon emissions. That regulation now faces legal challenges. In the 2017 legislative session, carbon-tax proponents are expected to face opposition in a state Senate controlled by Republicans. They will also faced broader challenges in a Legislature that already will be grappling with the need to raise other revenue — as ordered by the state Supreme Court — to increase funding for education. Kelley says that if the bill fails, the alliance may try a ballot measure for the 2018 election.